Recently BASIS Independent Brooklyn students garnered prestigious honors in math competitions, and we wanted to take a moment to share the exciting news with our community. Our inaugral MATHCOUNTS team won second place (missed 1st place by one point!) in the regional Brooklyn competition among the top private and public middle schools. One of our students, Max S., even took home the 1st place trophy for individual achievment. Now our team moves ahead to the New York State competition in Troy, New York in mid-March. Sister campus BASIS Independent McLean recently won their regional competition as well, so we have lots to celebrate across the network! "We love MATHCOUNTS because it's the only competition for middle schools to go out and compete with other schools," said BIB parent and MATHCOUNTS volunteer coach Ngoc Vo. "Students get to see their peers, and kids had so much fun at the competition. The results were immediate, and it was wonderful to see the kids win trophies in our first competition." 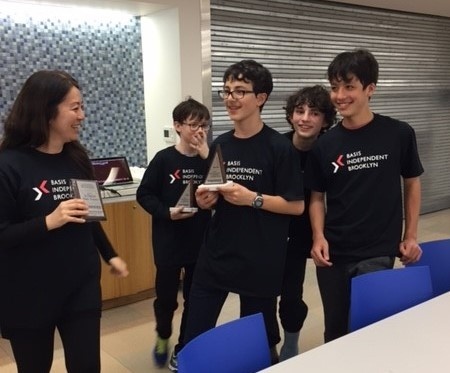 BASIS Independent Brooklyn students also competed in the Math Association of America's American Mathematics Competitions (AMC). We are pleased to announce that 8th Grade student Max V. scored in the top 1% of students nationwide taking the AMC 10 exam. He has gone on to take the next level of test for higher honors. 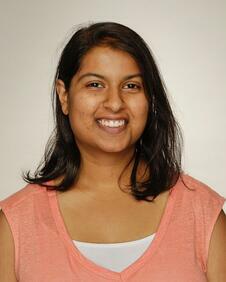 For AMC 8, Ms. Das of our math faculty led 12 students in preparing and sitting for the AMC exam this past November. Carson E. of Gr. 8 scored in the top 5% of students taking the exam earning the gold medal for the school. 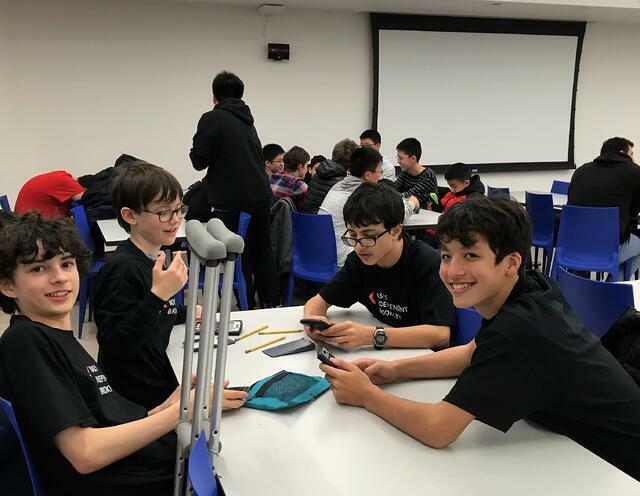 "We are proud of all our students who participated in math competitions and pushed themselves to see what they were capable of doing," said BASIS Independent Brooklyn Head of School Hadley Ruggles. "It is wonderful to see our students challenging themselves inside the classroom on a daily basis, and the extracurricular competitions help reinforce the great work happening among our students and faculty." More than 100,000 middle school students sat for the AMC 8 math exam. It is a 25-question, 40-minute, multiple choice examination in middle school mathematics designed to promote the development of problem-solving skills. Ms. Das met with students weekly on Tuesdays after school to review concepts and then practice tests together. She said she loved to see that moment when a student grasped a concept and a light would visibly register on his or her face. "We have greatly prided ourselves on demonstrating intellectual creativity at the school, and AMC challenges us," said Ms. Das. "One of the most important roles of a math faculty is to engineer creativity in the classroom to inspire students in the willingness to try. That's what I love about AMC exams. I want students to see what they can do. That is what I want to see come from our involvement as a school." According to the Mathematical Association of America overseeing the AMC exams, the competitions provide an opportunity for middle school and high school students to develop positive attitudes towards analytical thinking and mathematics that can assist in future careers. Students apply classroom learned skills to unique problem-solving challenges in a low-stress and friendly environment. Register for blog alerts in the footer to find out more about our academic program from PreK through high school and community stories directly!